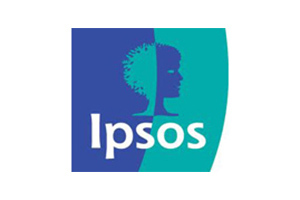 Ipsos MORI is one of the largest and best known research companies in the UK and a key part of the Ipsos Group, a leading global research company. The company needed an automated telephone survey solution at extremely short notice. Ipsos MORI needed an automated survey solution at extremely short notice. They approached Eckoh who rose to the challenge and delivered within their deadline. Callers are transferred by a contact centre agent to EckohSURVEY, where they are asked to answer to a series of questions. As part of the survey the caller is asked two open ended questions, where responses are captured and transcribed into the data file that is sent securely to Ipsos MORI. Eckoh provided EckohSURVEY, an automated telephone-based opinion survey solution. The fully automated service allows Ipsos MORI clients to conduct caller satisfaction surveys immediately following a call. EckohSURVEY enables Ipsos MORI to replicate the service across their clients with ease. EckohSURVEY has seen a 15% uplift in usage compared to the system it replaced. "Eckoh delivered the survey application within very aggressive timescales, and we are very happy with professionalism of the team, and with the feel and flow of the survey itself. We have received feedback from our client that they feel the service has improved since moving to Ipsos MORI and Eckoh."